Hey all my dear readers! How are you? I hope that you all have got a bunch of nice plans for the weekend? Well for me it is going to be a studious one! Anyways, recently I came to know that my favourite game, Age of Empires, is released in an HD version. 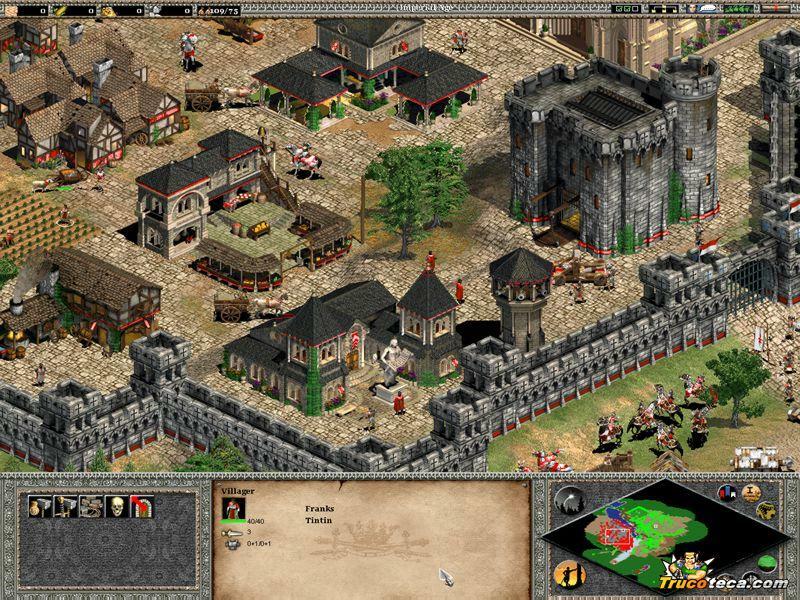 It is basically Age of Empires II:Age of Kings with The Conquerors Expansion, together with support for high resolution displays which are now just too common. There a few things that don't look good, though some are cool Overall I rate it 72% in comparison to the earlier one. 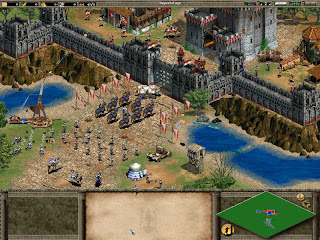 Age of Empires is a series of computer games developed by Ensemble Studios and published by Microsoft Studios. The first title of the series was Age of Empires, released in 1997. Since then, seven titles and three spin-offs have been released. The titles are historical real-time strategy games, and their gameplay revolves around two main game modes: Single player and campaign. They competed with another popular strategy series, Civilization, and are set amidst historical events. 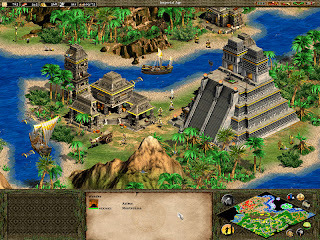 Age of Empires focused on events in Europe, Africa and Asia, spanning from the Stone Age to the Iron Age; the expansion game explored the formation and expansion of the Roman Empire. The sequel, Age of Empires II: The Age of Kings, was set in the Middle Ages, while its expansion focused partially on the Spanish conquest of Mexico. 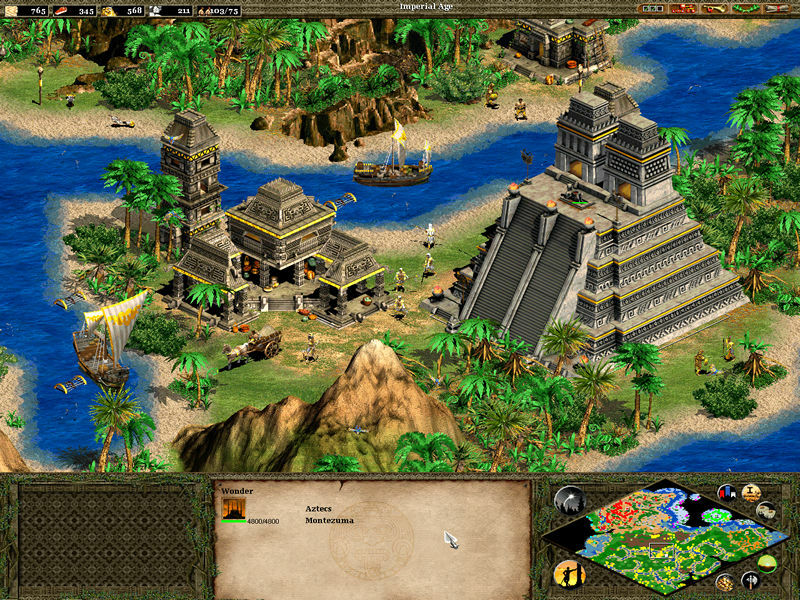 The subsequent three games of Age of Empires III explored the early modern period, when Europe was colonizing the Americas and several Asian nations were on the decline. 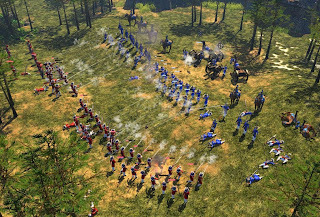 The newest installment, Age of Empires Online, takes a different approach as a free-to-play online game utilizing Games for Windows Live. A spin-off game, Age of Mythology, was set in the same period as the original Age of Empires, but focused on mythological elements of Greek, Egyptian, and Norse mythology. The Age of Empires series has been a commercial success, selling over 20 million copies. The popularity and quality of the games has earned Ensemble Studios a strong reputation in real-time strategy gaming. Ensemble collaborated with Big Huge Games on Age of Empires III: The Asian Dynasties. Critics have credited part of the success of the series to its historical theme and fair play; the artificial intelligence (AI) players fight with less "cheating" than in many of the series' competitors. I got this game as a gift from one of my cousins in 2000, almost one year after I bought my first computer. I was just 8 years old when I played this game, and no wonder I became a huge fan! My love for this game started to heighten. I was addicted playing it day and night. 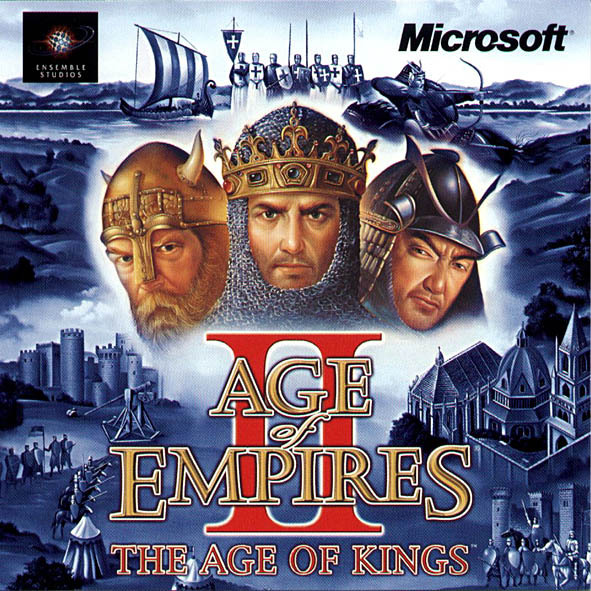 All the music, narration, cutscenes and history in the game was totally engraved in my brain by the age of 12(played and finished the AOE I and II millions of times by then). My love for history is the gift of this game only. It made me think of situations from a strategic point of view. I would call this game not just a simple RTS(real time strategy), but a nice package entertaining you and helping in development of logic and brain with it. Anyways, if I'd not stop speaking about my own experience with this game, I will go on speaking and would not get time to tell you about the HD edition, etc. Something about Age of Empires HD Version: What's new? In 2012, Hidden Path Entertainment began work on an HD remake of Age of Empires II (an effort spearheaded by Matt Pritchard, an original Ensemble lead programmer) and on 7 March 2013, its release was announced, branded as Age of Empires II: HD Edition. It claims to have improved graphics, widescreen support and new multiplayer options through Steam. It was released on 9 April 2013, and there was a preorder available on the 5th of April. In 2013, Age of Empires II: HD Edition was announced and given a release date of 9 April 2013 on the Steam digital distribution platform for Windows operating systems only. 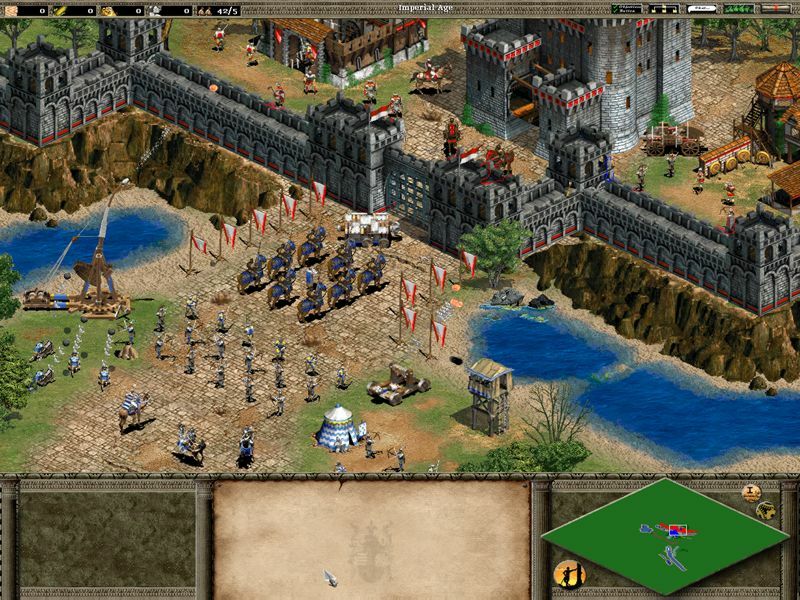 The HD Edition includes both the original game and the expansion The Conquerors, as well as updated graphics for high-resolution displays. It also supports user-generated content through the Steam Workshop and multiplayer games provided through the Steam servers. 4. Population Limit in Standard Game Perhaps one feature that will make you drool straightaway! The maximum population limits in Standard Games has been increased to 500. Yes! FIVE HINDERED! :D That means straight away increase of 300 limit, sounds superb! Found this on YouTube. Trailer? This is the video that comes in the beginning of the game. Oh well! LOL!